ISO image files are supposed to be burnt on CD, DVD media discs. After the burn, you can access content held in specific ISO file by playing CD, DVD dics on the computer. Do you want to open and see contents of ISO file without having to burn it on media disc? WinRAR program can easily help you do so. 1. 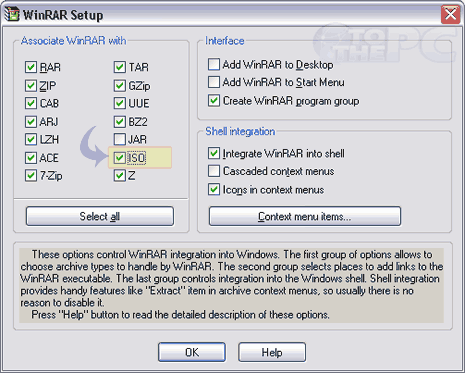 Download WinRAR program (32bit Window) or download other version. 2. Double click download file to start the installation process. 3. After install, you will get following screen. Select (tick) ISO option on that screen & click OK.
4. Open WinRAR program on computer, drag the ISO file to application window to see contents. Simple, isnt it?